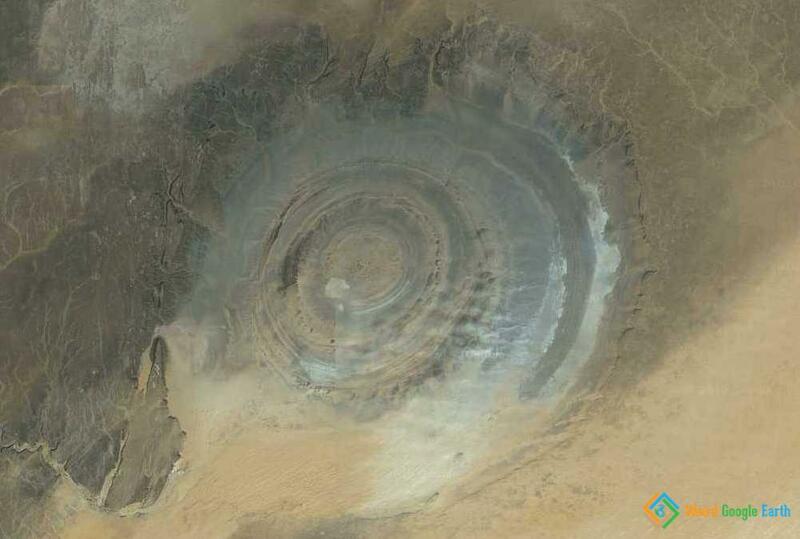 The Eye of Africa, also known as Richat Structure, the Eye of the Sahara and Guelb er Richat, is a 40 km in diameter, largely circular structure that was once believed to be an asteroid impact structure. It has been since concluded that its extraterrestrial origin is highly unlikely. No credible theories as to how it actually came to be exist and more investigation is needed. Here is a great description, as always.